Speeches — Jenny Grant Rankin, Ph.D.
Not counting her classes or media interviews, Dr. Rankin has delivered 180 keynote speeches and other presentations at 58 different venues in 7 countries. 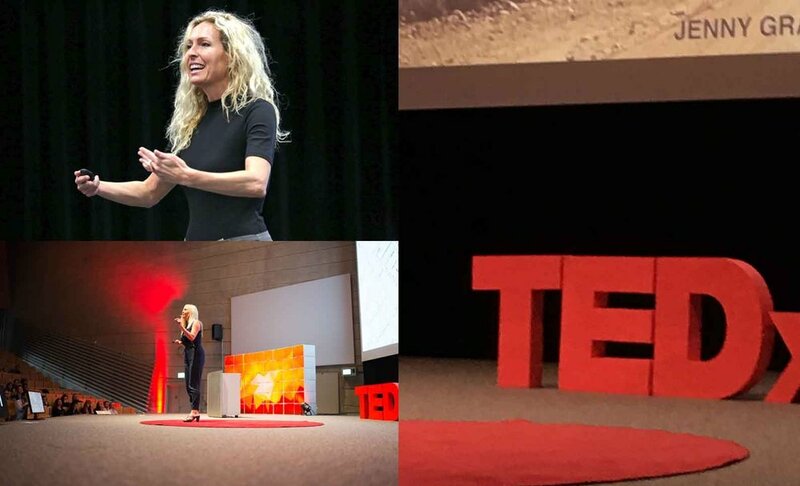 These include a TED Talk that began as a TEDxTalk at TEDxTUM and appearances at other TED events, as well as presentations at ACSD conferences, American Educational Research Association (AERA) Annual Meetings, International Society for Technology in Education (ISTE) Conference, Mensa Annual Gathering, National Science Foundation (NSF) STEM INCLUDES Conference, U.S. Department of Education conferences, and many others. Dr. Rankin’s media appearances, such as on National Public Radio (NPR), appear elsewhere (on her media page). If you prefer a list format of all speeches and presentations by Dr. Rankin, one follows below. Otherwise, use the visually robust Presentations gallery page to find speeches by topic or venue. For a visually robust way to peruse speeches and presentations by topic and venue, visit the Presentations gallery page. The list below includes speeches/presentations at the following 56 venues: Africa New Day Giftedness Conference; Africa New Day Teacher Burnout Conference; ACSD Conference on Teaching Excellence; American Educational Research Association (AERA) Annual Meeting; Anaheim Union High School District; ASCD Empower17 Conference; BrightTALK's International Women's Day (IWD) Summit; Buena Park School District; California Council on Teacher Education (CCTE) Conference; California Educational Research Association (CERA) Conferences; Carnegie Foundation Summit on Improvement in Education; Classroom 2.0’s Learning 2.0 Conference; Comparative and International Education Society (CIES) Conference, Connect: Canada's National Learning and Technology Conference; Global Learn Conference in Berlin, Germany; Harris County Department of Education (HCDE); Illuminate Education (34 venues); Illuminate Education Equity Symposium; Illuminate Education User Conference; International Council of Professors of Educational Leadership (ICPEL) Conference; International Society for Technology in Education (ISTE) Conference; GATE Collaborative; Jaspersoft Webinar; K-12 Online Conference; KIPP LA Innovation Day; Learning Revolution Conference; Leadership Innovation Event at Montfort College, Chang Mai, Thailand; Mensa Annual Gathering (U.S.); Learning Tree University (now Corinthian Colleges); Mensa Speakers Forum; National Association of School Psychologists (NASP) Annual Convention; National College Access Network (NCAN) Common Measures Learning Community (CMLC) Webinar; National Council on Measurement in Education (NCME) Annual Meeting; National Science Foundation (NSF) STEM INCLUDES Conference (Keynote Panel); New Teacher Center (NTC) Symposium; Northcentral University Graduate Faculty of the School of Education Commencement Ceremony; OC Mensa Speakers Forum; Ohio Association for the Education of Young Children (AEYC) Annual Conference; Orange County Council for Gifted and Talented Education (OCC GATE) Annual Conference; OCC GATE Parent Nights; O’Reilly Media; OZeLIVE! Australia: Ed Tech Down Under Conference; Rocket Ready Day; Saddleback Valley Unified School District; SAGE Research Methods Video Collection; Schoolzilla Data Champion Summit; Society for Information Technology & Teacher Education (SITE) Conference; State Elevating & Celebrating Effective Teaching & Teachers (ECET2); Technology Information Center for Administrative Leadership (TICAL) School Leadership Summit; TED Talk at TEDxTUM; TIBCO NOW Conference; University of California, Irvine (UCI) Digital Learning Lab; University of California, Los Angeles (UCLA) and National Center for Research on Evaluation, Standards, and Student Testing (CRESST) Conference; University of Cambridge (Post Doc Masterclass); University of La Verne: La Fetra College of Education Commencement; U.S. Department of Education’s Institute of Education Sciences (IES) National Center for Education Statistics (NCES) STATS-DC Conference; Wonder Women Tech Conference; and others. Location: Renaissance DC Downtown, Washington, D.C. Title: Teaser: Present Data as "Over-the-Counter"
Titles: Data Analysis,  Data-Informed Decision-Making,  Common Core State Standards (CCSS) Implementation/Etc.,  Standards-Alignment,  Educational Technology,  Assessment Writing/Building,  Test Debriefing,  Classroom Best Practices,  Data Communication,  Accountability,  Compliance (e.g., Writing SARC, Writing SPSA, Writing LEP/Improvement Plan, etc. ),  WASC Preparation,  Technology Training (e.g., Scanning, GradeCam, Illuminate Data and Assessment Management System, Illuminate Student Information System, etc. ),  Etc. Slides and agenda available upon request. Titles: Leadership & Team Building  Data Analysis  Data-Informed Decision-Making  Common Core State Standards (CCSS) Preparation/Etc.  Standards-Alignment  Test Administration  Response to Intervention (RTI)  Curriculum/Instruction-Centered Test Preparation  Educational Technology  Classroom Observation (“Walk-Through”) Data and Response  Assessment Writing/Building  Test Debriefing  Classroom Best Practices  Data Communication  Accountability  Compliance (e.g., Writing SARC, Writing SPSA, Writing LEP/Improvement Plan, etc.)  WASC Preparation  Technology Training (e.g., Scanning, DataDirector, Haiku, etc.)  Etc. Slides and materials available upon request. Titles: Data Analysis  Data-Informed Decision-Making  Standards-Alignment  Test Administration  Curriculum/Instruction-Centered Test Preparation  Classroom Observation (“Walk-Through”) Feedback and Response  Test Debriefing  Bloom’s Taxonomy and Rigor  Classroom Best Practices  Instruction Best Practices  Curriculum Implementation  Data Communication  Accountability  Behavior and Discipline  Compliance (e.g., CCR/CPM)  Technology Training (e.g., DataDirector)  Students (Steps to Success)  Parents (Seminar Night, Back to School Night, Open House, Awards Night, Report Card Night, etc.)  Etc. Agendas and materials available upon request. Titles: Data Analysis,  Data-Informed Decision-Making,  Standards-Alignment,  Pacing Guide Creation and Implementation,  Test Administration,  Response to Intervention (RTI),  Curriculum/Instruction-Centered Test Preparation,  Educational Technology,  Developing Capable Young People,  Advancement Via Individual Determination (AVID),  Assessment Writing/Building,  Test Debriefing,  Bloom’s Taxonomy and Rigor,  Classroom Best Practices,  Data Communication,  Accountability,  Compliance (e.g., SARC, SPSA, LEP/Improvement Plan, etc. ),  Step Up to Writing,  Jumpstart Teacher Technology Training (e.g., Microsoft Excel),  Other Technology Training (e.g., Scanning, ParScore/Scantron, EADMS, Plato, AssessmentMaster/StandardsMaster, DataDirector, etc. ),  Students (Passing the Cusp, Teaching),  Parents (Back to School Night, Open House, Parent Institute for Quality Education, etc. ),  How to Deliver Summer School Writing Program (Also Curriculum’s Author) , Etc. Slides and agendas available upon request.